I need something to strap my stuff on for longer rides. Carrying a back pack is not a viable option for anything but the shortest of rides. I’ve done some research on whats available for the bike.  I’m assuming anything made for the CRF 250 L will also fit the Rally. I left out the ones that bolt through the rear fender. I’m leaning towards the PMR with the B&B being a close second. That said, I’m open to suggestions. Good catch. I didn’t notice that myself. It looks raised in height more than some of the others. I could easily be modified / fabricated to include a vertical(ish) stylish looking plate plate at the rear of the seat where that ‘edge’ is your talking about .., a cheap and east mod to weld onto the rack. I went for the Hepco&Becker. Expensive, but well crafted. One advantage of the H&B is the removable rack itself which is attached by four screws on top. That’s why I choose it. Personally I would go for the Precision Motorcycle Racks one. It gives plenty of surface, looks great, and should(?) work with a rotopax mount if you need to store extra fuel. It would be my first pick even though you can’t really go wrong with any of the choices here. I like the PRM .., but at the same time dislike how messy looking the welds are (see website , as too hard to see in this photo) I would have liked to see some grinding / filing to tidy then up a bit more, but i guess you get that with mass production. .., also I disliked it’s rear fixing points of this rack , and how it slopes inwards on and angle toward the rear bolts . I would have made it neater by making the rear brackets vertically straight , then had a fixing point similar to the front bracket. Speaking of those front brackets where the bolt goes through . I was disappointed that they were not machined in a way so that the Allen Key ‘ Bolt head” ended up being flush with the bracket. I don’t like the way the bolt head is left sticking out like dogs balls. Some will say I am fussy , but these things do not take much extra effort to perfect. Any reason why no one is considering the racks that bolt though the rear fender .., because they are equally supported by the same rear subframe that the side bolts use, and IMO look neat and tidy ? When I end up making my Pannier racks , I will also be incorporating the bolt where the subframe bolts to the mainframe for added strength. I think, i will order the PMR for my Rally. It looks very nice and compact. And the option for the Roto-Pax is good.